Volvo is arguable Sweden’s most successful export outside of Abba and IKEA and it’s now over 89 years old. The company is prolific and well known by car enthusiasts but they tend not to play things in a show-off-y matter. That means there’s tons of rich history concerning the automaker that has flown under many of our radars. Volvo was the first foreign-owned car plant in North America. Halifax, Nova Scotia up in Canada was once just a small fishing city with a population of about a quarter-million in the 60s. Then Volvo came to town and officially became the first import auto brand to build cars right in North America. Many experts believe that was due to American drivers on the East Coast making up a noticeable segment of Volvo Amazon sales in the 50s. The Halifax factory offered so many incentives for Volvo to stay there. Having that factory there allowed Volvo to avoid heavy tariffs on the cars they built and exported between the United States and Canada. 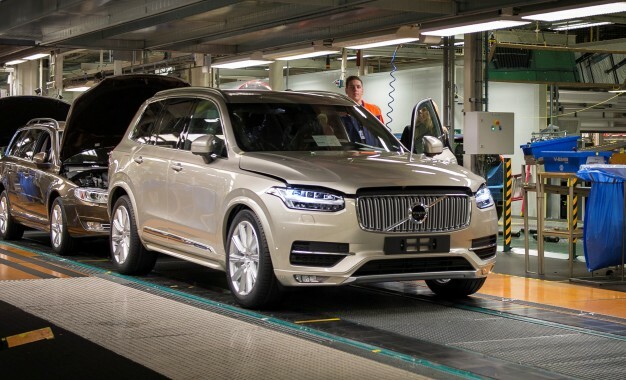 Sadly, it was not meant to last since Volvo shut down the factory at the end of 1998 as Volvo felt that the facility was nowhere near as viable an investment compared to the larger factories they had in Sweden and most of Europe. Volvo made CVTs (continuously variable transmission) popular. When Volvo took the automotive arm of truck manufacturer DAF, which includes the assembly plant and signature Renault engines, Volvo became the first mainstream automaker to apply a CVT gearbox to vehicles. While some enthusiasts we not a fan of the fact that Volvo ended up slapping big bumpers and head restraints on the little the DAF 66 in order to re-badge it as the Volvo 66, this was a stepping stone for Volvo’s partnership with Mitsubishi in the early ’90s before later operating NedCar for a time and helping to build Mini Coopers for BMW. All of this can be traced to the acquisition of DAF which made CVTs mainstream despite, ironically enough, the fact that Volvo rarely applies them to their own cars (they prefer conventional automatic transmission). Volvo was a family owned company. Not in the sense that they were owned and operated by a family but more so that Volvo loved to work closely with their fellow automakers, particularly their would-be rivals in Sweden such as Saab. Volvo and Saab may technically be competitors but it was never a bitter rivalry at all. In fact, at one point in time Volvo’s aerospace division built engines for Saab’s military jets since. That sense of camaraderie continues even to this day: even with Saab defunct, if you are a current Saab owner, Volvo’s American arm will happily offer you the same $1,000 “loyalty” bonus toward the purchase of a new Volvo that Volvo owner get. These Swedes love their coffee. Sweden takes a lot of pride in their goods. According to some studies, Swedes drink more coffee per capita than almost anyone else in the world. What does this have to do with Volvo? Volvo is such a fan of what they consider Sweden’s best coffee roaster, Da Matteo, that they actually fly the baristas and beans with them along for every major international auto show. Of course, safety has always been a priority for the automaker. And for years it has served the brand quite well with them being the first ever to develop AND market with three-point seat belts, side-curtain airbags, and blind-spot monitoring. Volvo has even become synonymous with camera- and radar-based active safety tech. They love to keep drivers and passengers safe. Chief among them: the children. Volvo invented the rear-facing child seat, the first seat built with the intention to hold children in place and protect them in case of a wreck. This was invented in 1967. The original one may look very simple and rudimentary but it was offered as an accessory for the Volvo Amazon, undoubtedly contributing to sales. Over the years, Volvo refined the concept of these seats by creating built-in booster seats for children of all shapes, heights and sizes children. These days, the automaker continues to offer these seats a factory-installed option on most of their lineup. So there you have it! The facts and history of Volvo you might not have known. 89 years and counting we have no doubt Volvo has much more in store for us in the coming years and we look forward to what that is! That’s our look back at Volvo factoids you might not have known. The brand’s future looks bright, with good new products in the pipeline, so we’re pretty it’ll make it to 90 years.